She Writes Press, 9781631521768, 280pp. On a bus trip to a Catskill Mountain ashram, Rifka Kreiter recollects her past as she travels to meet Swamiji, another new guru on the scene in the bustling spiritual marketplace of 1976. Memories abound of an eventful childhood with an unstable mother on New York's Upper West Side and in LA, of dancing the Twist at Manhattan's Peppermint Lounge, and of sitting in against the war--as well as getting tear-gassed in Mississippi, surviving broken love affairs, and more. 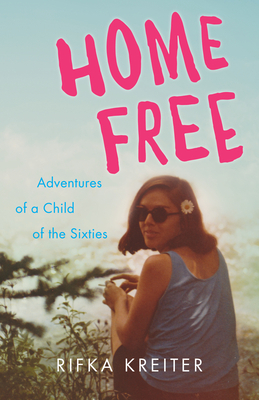 A checkerboard ride through the fifties, sixties, and early seventies, Home Free is powered by Kreiter's passionate drive for pleasure, self-knowledge, and--above all--freedom from limitations, whether psychological, political, or spiritual. Ultimately, it is a joyful trip, as she strives to bust free, be it with drugs, therapy, political activism, or meditation. At last, she arrives at a destination as unexpected as it is transformational.